Vonage is commercial SIP Company as well as a VoIP network, which is publicly owned. The company primarily offers telephone service through a broadband connection. Founded in the year 2001, the company has its headquarters in Holmdel, New Jersey. The company offers different calling plans for its customers, which include small business calling plans, international plans, and even local plans. Vonage World is one of the most popular calling plans offered by the company, which was introduced in 2009. The customers have to get a Cable or DSL broadband connection and a phone adapter of the company, for using the services offered by the company. 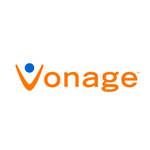 There are currently 1 consumer reviews about Vonage available. Share your review. Please take a note that you are about to post a public review about Vonage corporate office on CorporateOffice.com. This review will be public, so please do not post any of your personal information on this website. If you would like to contact the corporate offices of Vonage, please use their contact information such as their phone number, website, and address listed above to contact them. However, sometimes staff from Vonage headquarters do read the reviews on this website.